I’m not talking about religious faith here. As I have mentioned before, I find religious discussions uninteresting, pro or con. I’m also not talking about hope and optimism. I feel that those are great qualities as long as they are not manipulated in a deceitful way. Simply put, faith is a belief in something. It is a desire to pick a side of an argument, and then a tendency to defend that position as being true. What could be wrong with that? Don’t we need to draw a conclusion? Don’t we need evidence to support the conclusions we embrace? Actually no, not really. Truth is actually an infinite rabbit hole. There are as many truths in the world as there are protons in the universe. Every time a question is answered, it produces more questions. In other words, as the smallest amount of understanding is achieved, there is an exponential growth of uncertainty along the periphery. The easiest way to describe this is that science is like diving into a fractal (see below). There is infinitely more to know and you’ll never hit the bottom. All the more reason to seek evidence for what we believe, right? No. You see, the problem here is the infinite number of truths. Each truth is extremely narrow so they are super tiny and super specific. This is commonly referred to as a “half-truth”: Something that is technically true but, well, there is more to it. There is always more to it. It is right here that faith rears up and becomes extremely destructive. This is known as confirmation bias. Hopefully you know that phrase. Confirmation bias in when you seek information that supports your belief while ignoring any evidence against it. Unfortunately, this is not a learned trait; it is innate to human nature. So why is that a problem? Remember those infinite number of truths and how tiny they are? They are like tiny little Lego blocks. With enough imagination, you can start putting tiny truths together into ANY kind of assembly that you would like. A truth here, a truth there, sprinkle a little conjecture on top and viola! Evidence! But dammit, you can do that for ANYTHING you would like to believe. The ability to find support for something is just a terrible razor (the tool you use to judge an idea). You are even more vulnerable if you are really smart. What you should be looking for is evidence AGAINST what you believe. So the absence of evidence against something means that I can justify having a strong belief in it? No. Let me say that again. No. I have often heard that when communicating an idea, you should repeat your point three times so, just to be clear: No. That is not at all what that means. That is the exact opposite of what this all means. “There is no definitive proof against what I believe,” is simply another piece of evidence you found in support of what you believe – Confirmation bias strikes again! What all of this means is that you should be constantly looking for, exploring, expanding, and defending as many alternative hypotheses as you can. Constantly. Anything with strong evidence against it should be dismissed. What you will find is that there are often several hypotheses left, not just your favorite. Then you weigh them all objectively and look for the most likely and consistent one. Experimental consistency (lots of studies looking at an idea in many different ways and the idea still holding solid) will start pointing towards the most complete hypothesis. The best hypotheses tend to be the most general and simple. But DON’T DISMISS THE OTHERS unless there is strong evidence against. Keep coming back to them. Keep scanning the literature and discussing with peers looking for NEW hypotheses or deeper interpretations that you hadn’t considered before. So I should listen to and entertain every crackpot idea out there? Well, it’s POSSIBLE that the sky is created by a rainbow farting unicorn, but there are much better tested hypotheses out there. And sure, there are some ideas that might hold up when looked at in a very particular way, but do not hold up when you pull back a bit. For example, in order for the Earth to actually be flat instead of round, we would have to completely reject the theory of relativity which predicts with extreme accuracy EVERYTHING ELSE WE SEE IN THE UNIVERSE from the orbital mechanics of galaxies to the energy produced by a quasar. So how does this apply to PT practice? “My hypothesis explains phenomenon X (for example a treatment that results in an outcome) which is something we see. Since this is something we see, my explanation must be true.” Ok, but this alterative explanation over here, which contradicts your hypothesis, not only explains X, but also Y, Z, A, B, C, etc. If you only look for support of your own explanation, you will never see this additional information. And if you don’t truly, objectively consider it, you are simply not being honest with yourself. Sure, it’s POSSIBLE that your neuromuscular coordination circus-act exercise routine made the patient successful by enhancing their minute segmental control of each and every joint, but could other explanations be at play? Maybe it was the secondary strength you gained. Maybe you just made them more confident by having them complete a challenging task. Maybe you made them work up a sweat so that they flushed toxins from their body (please, PLEASE for the love of God realize that that was a joke). The point is that you should always be questioning so that you can always be learning. It will keep you from missing something. Even then you will never be completely right. Embrace that. 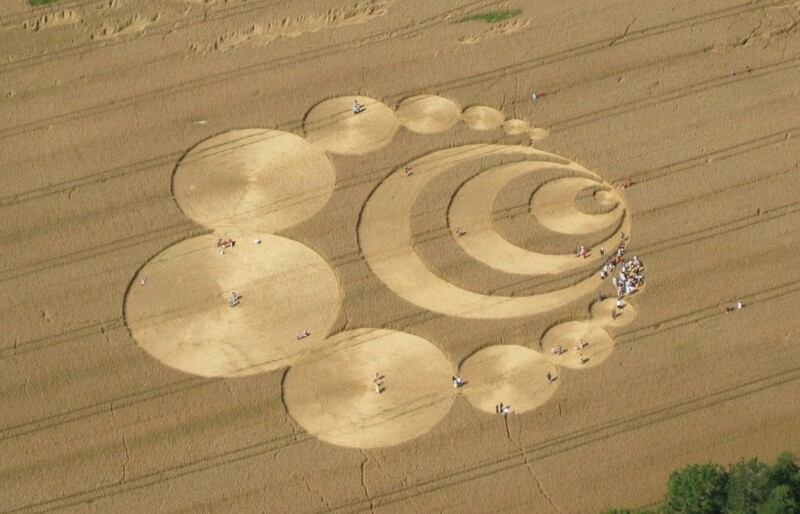 The featured image on this post is “CropCircleW” From Wikimedia Commons. “Mandelbrot Set (fractal) at Full Scale” image on this post is “Mandelbrot-similar-x1” From Wikimedia Commons. “Diving Deeper” image on this post is “Mandelbrot-similar-x6” From Wikimedia Commons. “Even Deeper” image on this post is “Mandelbrot-similar-x100” From Wikimedia Commons. “Just Keeps Going Forever” image on this post is “Mandelbrot-similar-x2000” From Wikimedia Commons.